Ridehsare services have made the world of public transportation a bit cleaner and more convenient than your typical taxi. Get on your phone, open an app, book a ride, and they’re there in a flash. It’s convenient, but that’s doesn’t mean it’s always safe. Rideshare disasters have been happening since the services first appeared. With the increase in accidents, it’s alarming to know that many Uber drivers don’t have the correct insurance for the type of driving they’re doing. And this translates to pure mayhem when an accident actually occurs. It’s here that a San Jose rideshare law firm can step in and pick up the pieces of what is a bad situation all around. A car accident is traumatic enough without having things complicated by incorrect insurance, incomplete insurance, or rideshare complications. A rideshare law firm in San Jose can help you sort through the pieces and put them together in a way that helps you heal and get the compensation you deserve. San Jose is a busy place. Accidents happen. They should never take something away from you, though, that they fail to repay. Uber, Lyft, and other rideshare companies must step into an accident scenario and do the right thing. They must… but they don’t always do it. A Rideshare law firm in San Jose is needed when you aren’t getting the kind of settlement offer that you feel is fair. 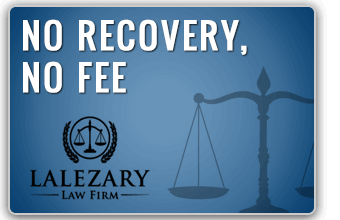 If you’re facing months of lost wages, terrible pain and suffering from your injury, and anxiety from the accident, it’s time to contact a San Jose rideshare law firm like Lalezary. We know how to handle these cases, and we’ve become all too familiar with the kind of liability insurance that Uber and Lyft carry on their drivers. Whether you were injured while you were a passenger in an Uber vehicle, another vehicle, or were injured due to something the Uber or Lyft driver did, we’re going to be able to step in and get you the maximum amount of compensation you are owed by law. Rideshare accidents are particularly stressful afterwards because you often aren’t familiar with what the process is for filing a claim. That’s why you need to contact a lawyer immediately after the accident. Don’t wait! The longer you wait, the more likely that you will be unable to sue for damages. And remember, you aren’t limited to the insurance of the Uber or Lyft driver. Uber and Lyft itself carry insurance on their drivers, up to $1 million.